Amazon has an Alexa-controlled Echo device... or ten for everyone in the family, including children of all ages. But by itself, a gadget like the Echo Dot Kids Edition may feel unnecessarily expensive, at least compared to a regular Echo Dot variant, especially one drastically discounted at Best Buy right now. Then again, if you’re looking to purchase two of these kid-friendly, kid-proof diminutive smart speakers, you’re in luck, as Amazon will hook you up with a cool BOGO deal for a no doubt limited time. Simply add two units in your cart and one of them is going to see its list price reduced to $0. You can buy one Echo Dot Kids Edition and get one for free if you want to set them up in different rooms for different users of a young age, or simply gift the complimentary device to a fellow parent in need of a little help around the house. 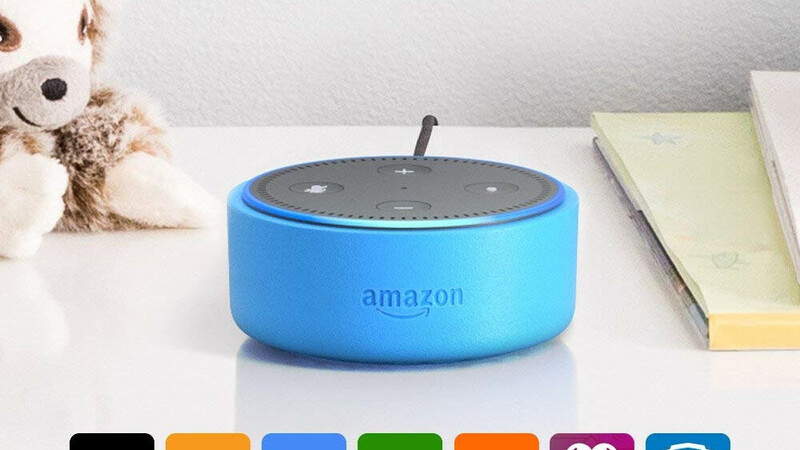 Available in blue, green, and “punch red”, the “first Echo for Kids” is obviously extremely similar to a standard Echo Dot. In fact, the two “editions” are identical in terms of design, specifications, and general capabilities. What you’re actually paying extra for is a convenient two-year “worry-free” guarantee that means you’ll receive a free replacement even if the Echo Dot Kids Edition breaks as a result of intentional damage or negligence. Also, a protective case and, perhaps more importantly, a 12-month FreeTime Unlimited subscription. Separately, that alone would set you back at least $83, including everything from comprehensive parental controls to a “world of content for kids to explore.” We’re talking books, games, movies, and TV shows from brands like Disney, Nickelodeon, and PBS, all of which can be accessed on Fire tablets, Android devices, iPhones, and iPads. Of course, at the end of the day, the Echo Dot Kids Edition itself can be a fun, convenient, and educational device, playing age-appropriate music, answering questions, telling stories, and even allowing children to control compatible smart home accessories using just their voice. Also, don’t worry, voice shopping is switched off by default.